Vegan activists are going to be screening a virtual reality abattoir tour, giving a first person view of a cow’s slaughter. Animal Equality, an international animal protection group, will show the documentary, which is narrated by Harry Potter actress, Evanna Lynch (Luna Lovegood), at a cosmetics shop using virtual reality headsets. 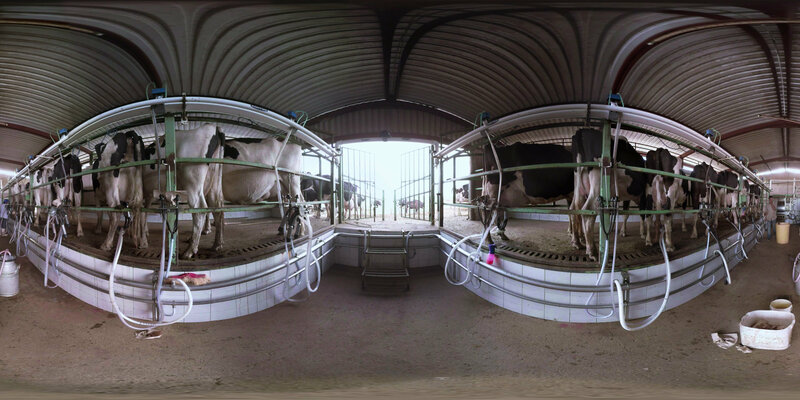 The short film, ‘iAnimal: The dairy industry in 360-degrees’, shows a first-person view of the life and death of cows and calves in the dairy industry, from birth to slaughter, including a graphic clip of a cow’s throat being cut. Activists will be showing the film at beauty and cosmetics shop, Lush, in Oxford’s Westgate Centre, in partnership with Oxford University’s Vegetarian and Vegan society. Virtual reality opens up worlds that used to be hidden from us and there is nothing more secretive than the way animals are reared and killed for food. Animal Equality believes people have the right to know what happens in modern farms and slaughterhouses so that consumers can make informed decisions about the food they buy. Now, through our cutting-edge iAnimal project, we can open up these secretive worlds and allow everyone to experience first-hand how farmed animals live and die. 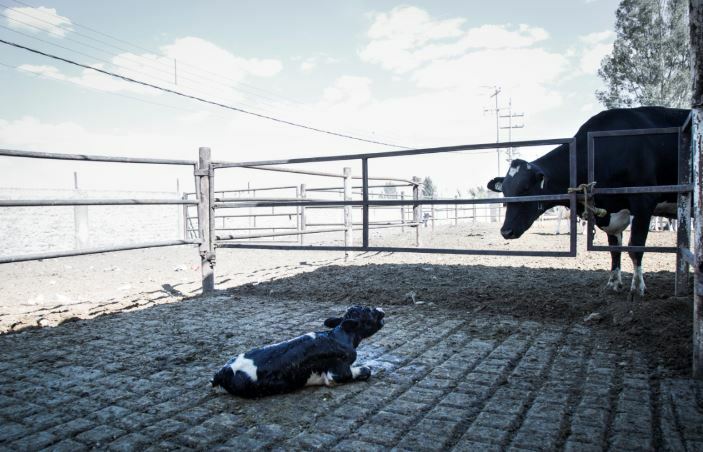 The documentary was filmed last year from inside dairy farms and slaughter houses in Britain and Mexico. 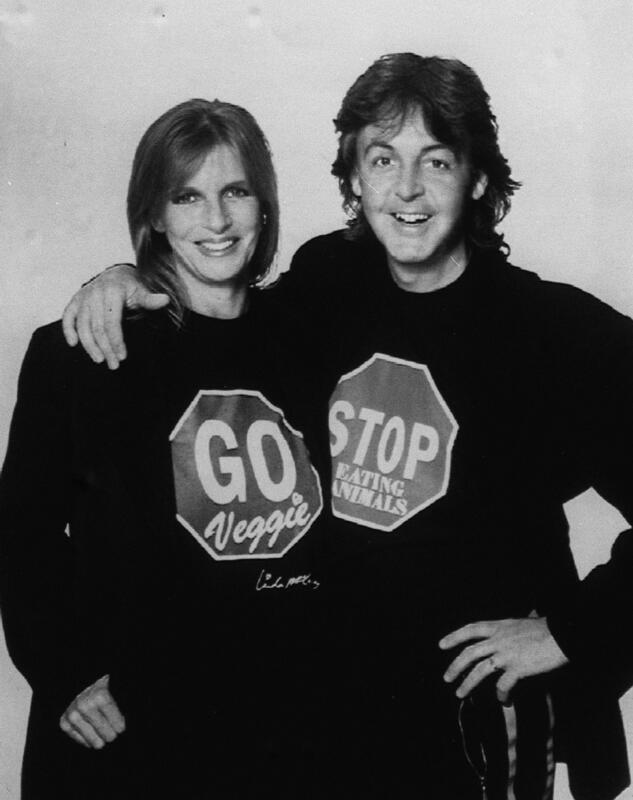 Paul McCartney once famously said ‘If slaughterhouses had glass walls, we would all be vegetarians’ but of course they don’t, and most people remain unaware of the lives and deaths of animals bred for food. Last month, UNILAD released a documentary detailing and exposing the inhumane treatment some animals suffer before making it to the supermarkets. Footage like this is hard to ignore – and it shouldn’t be ignored, it’s happening. It shows pigs screaming as they head to the slaughterhouse, chickens being pulled apart and pecking at the carcasses of those who’ve collapsed alongside them, it’s heartbreaking. With November being Vegan Month, we took a look at the health benefits of veganism, including the research which found people following this diet are more likely to live longer than those who eat meat and dairy. The scientists found every three per cent increase in calories from plant protein, was found to reduce risk of death by 10 per cent and the figure rises to 12 per cent for risk of dying from heart disease. More and more people are eating vegetarian and vegan food in the UK, with more cutting down on the amount of meat they eat each week. There’s been a massive rise in vegetarian and vegan options across restaurants in Britain and it continues to increase with food eateries opening specifically for plant-based options. There are currently over half a million vegans living in Britain. One in five have cut down the amount of meat they buy and one in eight have now chosen meat free vegan options in restaurants. When it comes to eating healthily, according to Mintel, 55 per cent of UK adults include plenty of vegetables in meals and 24 per cent incorporate superfood ingredients. This growing interest in veganism is driven by people’s desire for both health and environmental benefits – 49 per cent of British people who limiting or reducing meat consumption agree eating too much meat is bad for their health. It certainly makes you think.